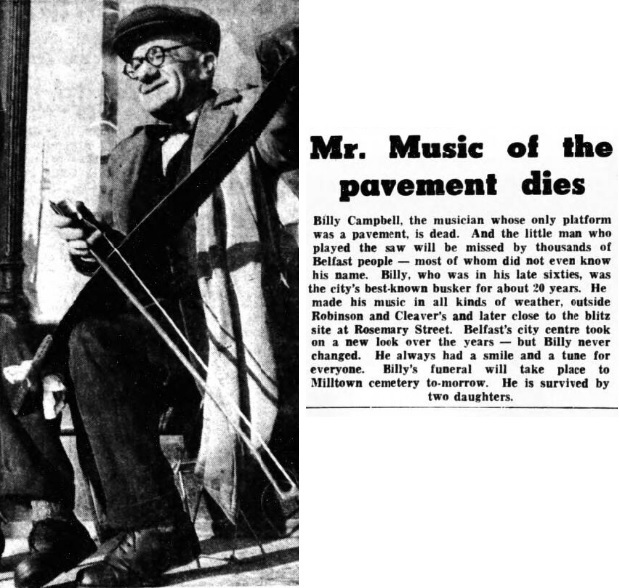 Does anyone remember the man playing music on a saw and with a bow. He played all types of music on his saw and took requests,he was good musician. There was another man in Chichester Street outside the Plaza ballroom, he would ask people for pennies and bend them over his fingers just using the one hand. They were just two of the characters that were the makeup of old Belfast. the gentleman at the g.n.r. was called Hutchinson I believe. ?